Beautiful flowers. The Morning Glory looks like its making its way up the wall. Pretty butterfly. Its like you have captured the soul of morning glory in your camera. Nicely done. I have all these flowers in my garden in Multan too. But as my blog is about studies of trees , so I seldom share them. 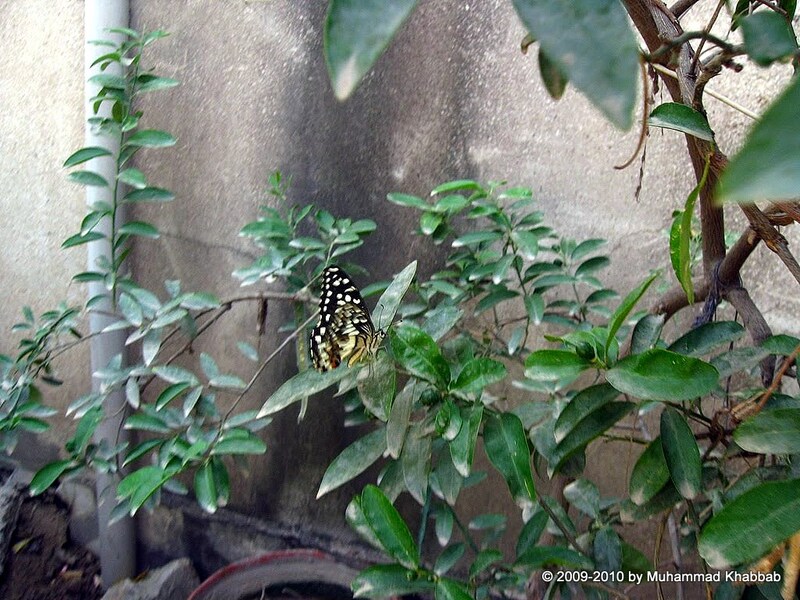 Our actual home is in Lahore and we have a small garden full of trees and plants in there also. 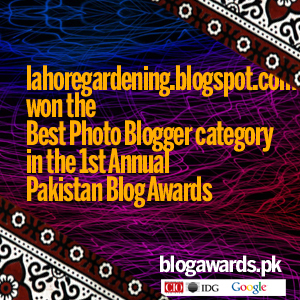 Where do you live in Lahore? Its good to interact with you if you wish. I’ll be there in November. What is the name of the bud in the first picture? 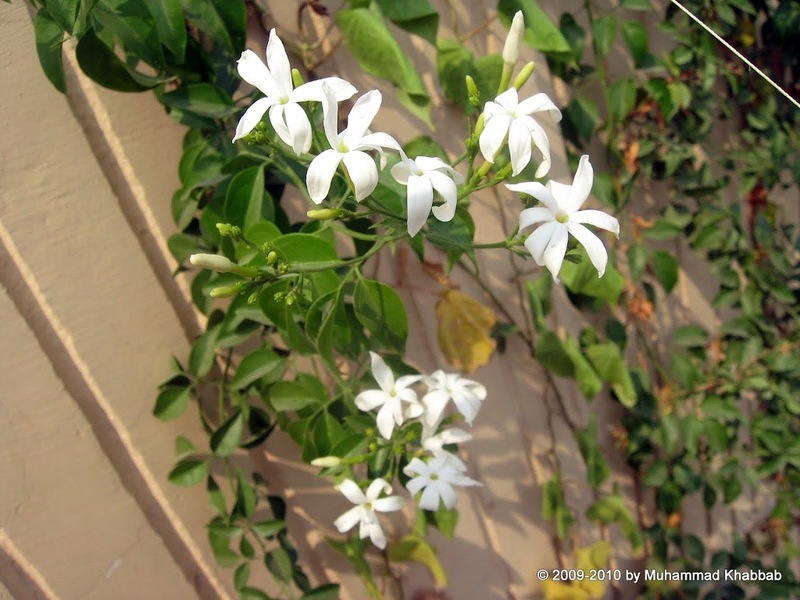 Is it jasmine? As for the second picture on the morning glory climbing up the wall, it looks like a suspense drama of spiderman or Indiana Jones! I like this shot. It is very creative and unusual. I remember having a balcony garden when we lived in the city in Michigan. But we never had Morning glories grow up the wall. that is so aweseome! How do you get shots of butterflies? THey won’t hold still for me, ever. Your flowers look lovely, as usual. What is the blossom in the first photo? 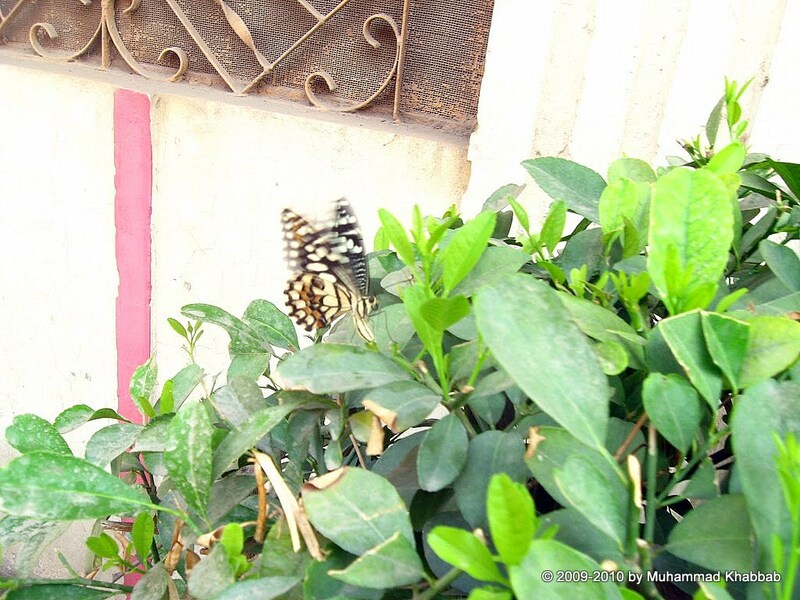 A butterfly on your balcony? Lucky you. @mania thanks. I live in Allama Iqbal town in lahore. Wud love to interact with some one interested in gardening. 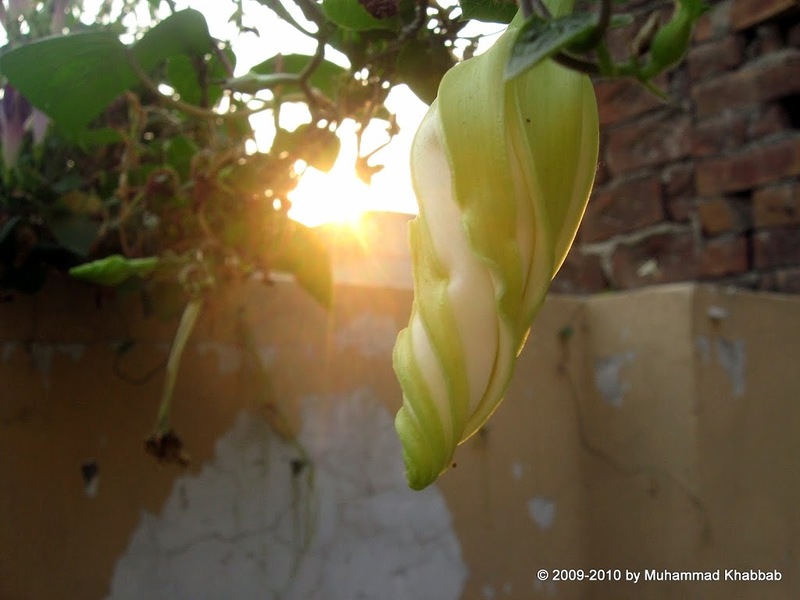 @AutumnBelle, @Mary Delle – The first bud is moon flower (ipomoea alba) which could not bloom last evening. @Rosy Pollen – I spend hours capturing the butterflies. sometimes i do use continuous shots but they come blurry. Love the twisted bud and lighting in the first picture! 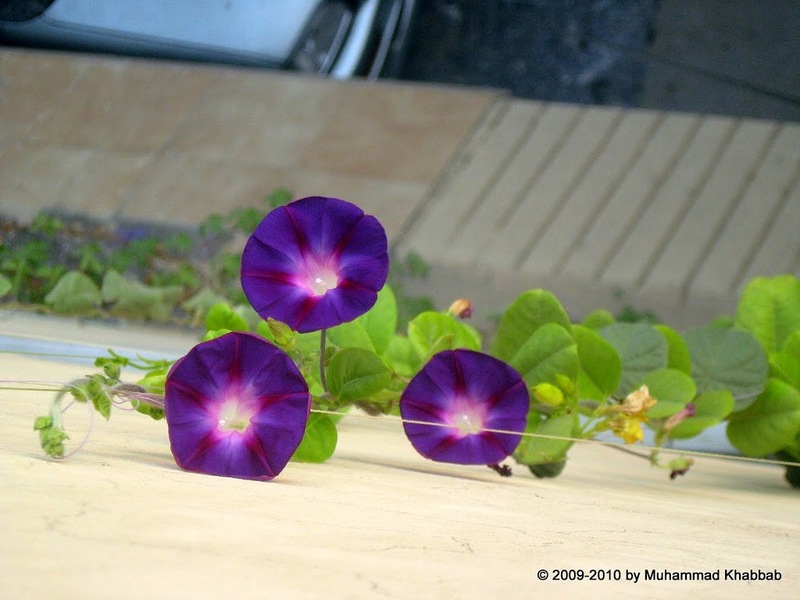 Morning Glory is one of my favorites, but I haven’t been very lucky with it lately. Your morning glory is pretty, such nice color! The first shot is very good! Thank you! Beuatiful photos. Thank you for visiting my blog. Not that far I think. I live in NFC Housing Colony. Its near Wapda town. Currently, I am busy in my studies and yesterday, my father had a minor operation of foot(Achilles tendon injury). Its the most strongest tendon of the body but unfortunately when it injured, it causes a lot of pain and a person cannot walk easily. Now my father is alright. But I can’t be available till November. So I will contact you after the prof. So wonderful to stumble upon your blog from so far, far away (I’m in California)..beautiful photos, too! I love the yellow flowers, and think I may have had one of these bushes many years ago – do you know the name of it? The one I had smelled like popcorn, of all things! 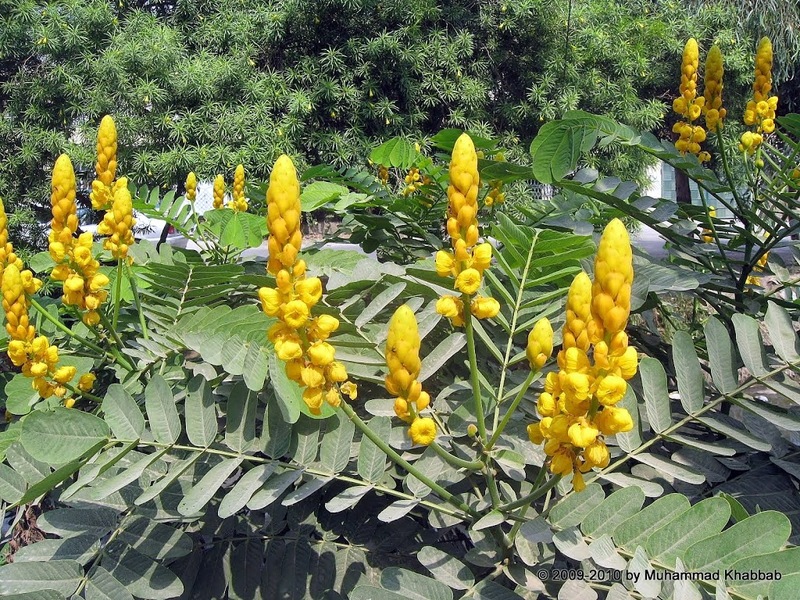 @Rebecca – The yellow flowered bush is cassia alata or senna alata common name is candle bush. it grows wild here in our climate.